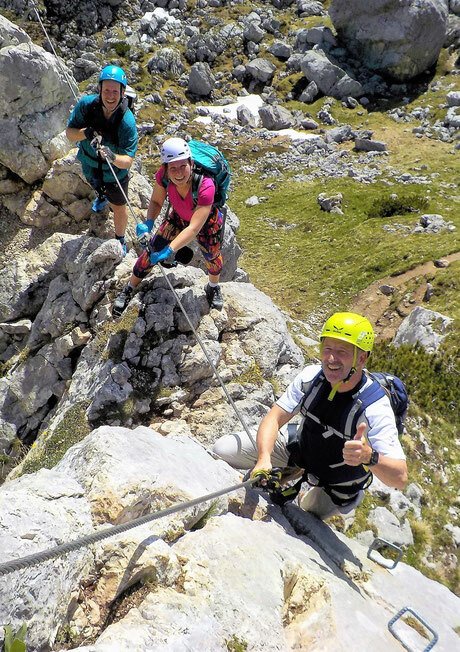 Equipped with harness, helmet and ferrata equipment we climb along well protected routes. 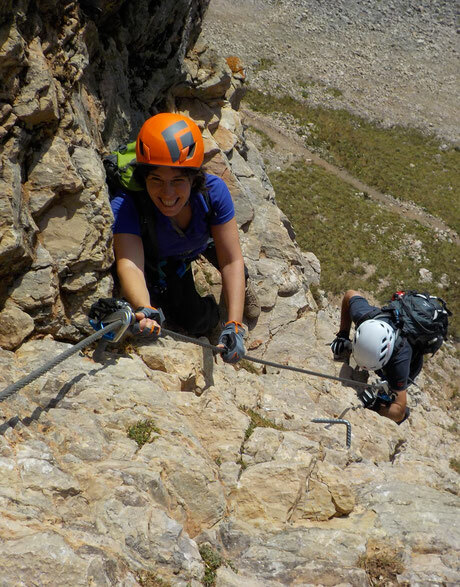 With our harness we are always attached to the steel cable that leads through the wall. Choose your level below and have fun. Day trip in the Rofan area. 9am to 15pm. Meetingpoint 8:45 at Rofan cablecar station. We take the funicular and have about one hour approach to Haidachstellwand. There our tour starts and we climb for about 2 hours. For this daytrip you need more power in the arms. Meetingpoint 8:45 at the funicular in Maurach. One hour approach, 2,5 hours climbing. 9am to 15 pm. requirement: absolutely no fear of heights, surefootedness, power in the arms.